Here here a few photos from Thursday's OSAA Class 5A girls' basketball semifinal between the La Salle Prep Falcons and the Bend Lava Bears at Gill Coliseum in Corvallis. 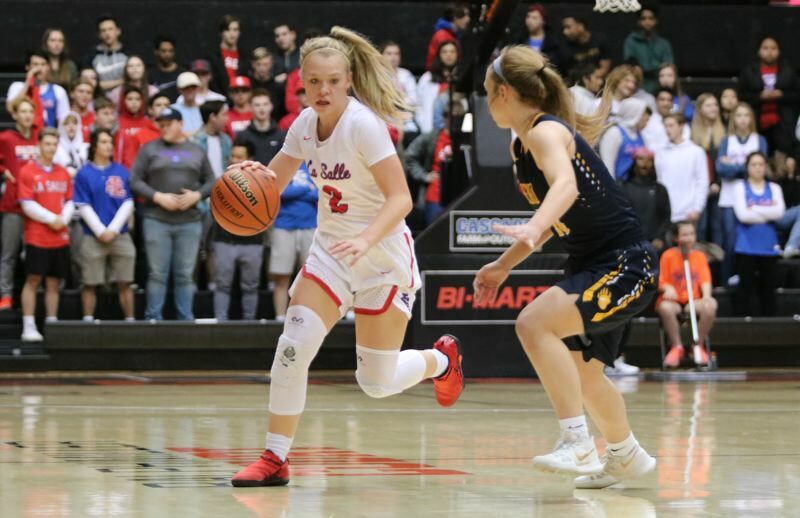 La Salle Prep's Emily Niebergall led all scorers with 11 points, and Addison Wedin and Taycee Wedin added 10 points each to lead the defending state champions to a 40-26 victory over the Lava Bears. With the win, the Falcons (21-4) advanced to Friday's 6:45 p.m. championship final against Marist Catholic (22-3).